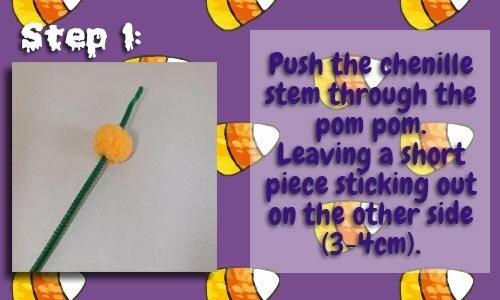 Push the thick green chenille stem through the orange pompom, leaving a short piece sticking out on the other side (3 - 4 cm). 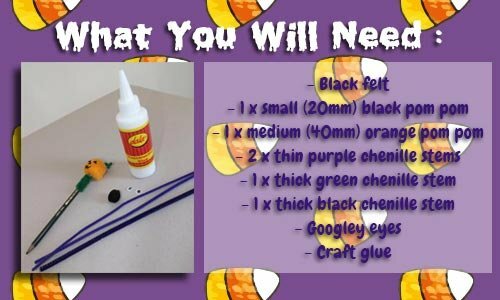 This will be the stem of the pumpkin. 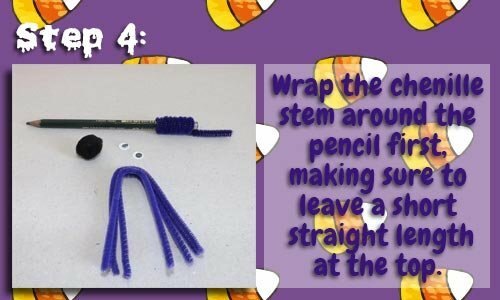 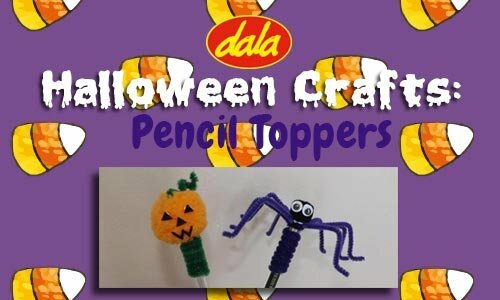 Wrap the longer length of the chenille stem around a pencil or a pen. 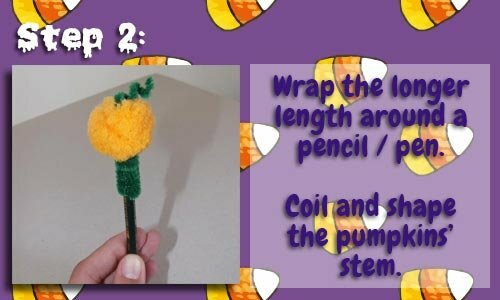 Coil the short piece into a spiral for the stem. 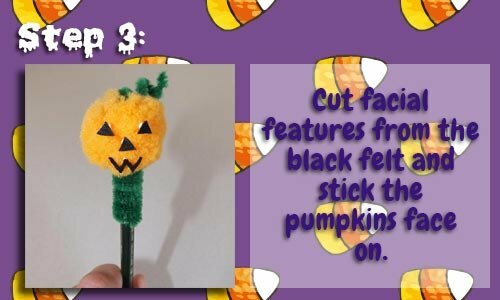 From the black felt, cut out the pumpkins features: a mouth, nose and eyes and glue these on. Wrap the thick black chenille stem around a pencil or pen leaving a short straight piece at the top (2 - 3cm). 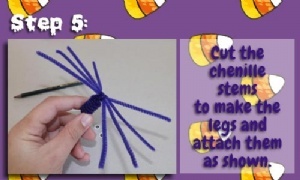 Cut the two thinner chenille stems in half and then fold them in half again to form the spiders' eight legs. 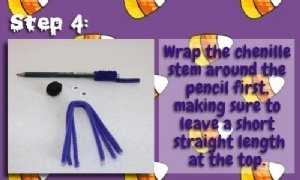 Attach to the pencil as shown, using the straight bit you left earlier. Bend the legs to look like a spiders' and stick the small black pompom on for his body. Lastly glue his googley eyes on. 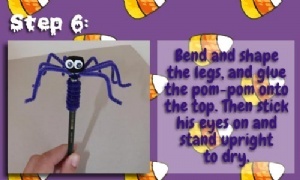 This item has 659 views.